Thanks for coming to my site, even after you’ve watched the video I did with David. 🙂 See below for more resources. Short Bio: “Sean has been in storytelling since the mid 80’s. He began when he converted a group of (comically) homicidal teens from angry adolescents to storytelling practitioners themselves. He’s worked with all types of organizations, from the Fort500 to the entrepreneurial “fortunately there’s just five of us.” His heart lies in working with clients individually to discover their stories and help them craft the best way to share those stories through print and speaking. David references my article about the “10 Things Story Won’t Do.” You can read that over on Medium. I would be forever and a day grateful if you gave that some applause and maybe even followed me there, too. The idea of the LURE STORY is one I have played with for more than a decade. Here’s an updated version of the original article. My “Measures of Story: How to Create a Story from Floats and Anecdotes” Book. You can buy the (short, really short) printed book at Amazon. The DaddyTeller book is available at Amazon. Our program for parents and storytelling is at The Story-Skilled Child. Our publishing company is The Small-Tooth-Dog Publishing Group LLC. 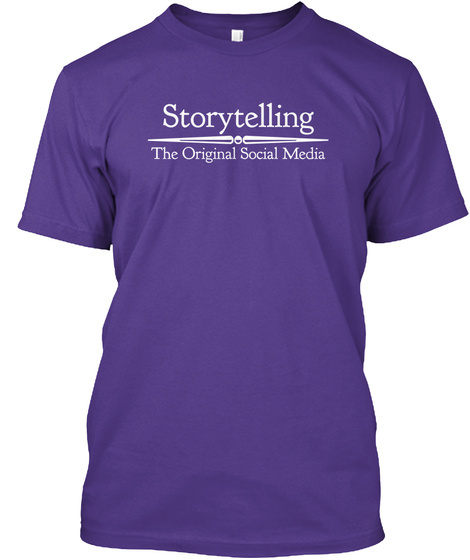 I’m the founder of Storyteller.net, one of the oldest storytelling-resource sites on the Internet, older than Google. We’re in the middle of a massive rebuild. Don’t judge. Been There? Done That? Did you get the Tshirt?